Manjima Mohan talks about her film 'Sathriyan'. 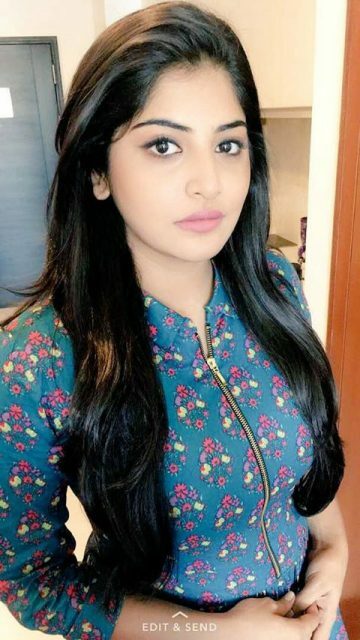 During a recent interaction with a leading website, actress Manjima Mohan opened up about her upcoming film ‘Sathriyan’ and said that shooting for it was a challenging experience. In the film she plays the role of a woman from a rural background and hence had to work extra hard on delivering her dialogues. “Sathriyan has me playing a very different character compared to the urban girl I played in Simbu’s AYM. I play a rural based character who uses no English words and hence I had to work really hard on my lines for the lip sync,” she added. Moreover, she touched upon her fitness regime and made some sweet revelations. Manjima revealed that she is a big foodie, however, she makes it a point to hit the gym in order to stay fit. “I am still a foodie. However, I hit the gym just for the sake of fitness and feeling good about myself. Some of the directors told me I don’t have to reduce weight and said this was fine. But if the character demands me to, I would love to lose weight. In fact, in the middle, I felt very fat and depressed and this made me take up gym seriously and I reduced quite a little,” she said. In case you did not know, ‘Sathriyan is touted to be an action-drama and has been directed by Prabhakaran. Besides Manjima, it also features Vikram Prabhu in the lead. The film is slated to hit screens tomorrow.